ALL ABOARD AT DUXFORD FLYING LEGENDS AIR SHOW! 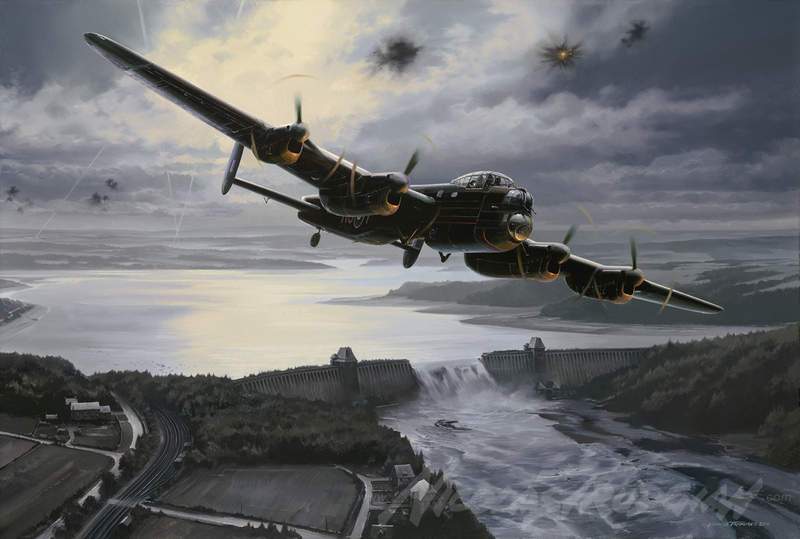 2013 sees the 70th anniversary of the Dambuster raid and to commemorate this event Nicolas Trudgian is releasing a very limited edition print entitled ‘American Dambuster’. Inspired by Joe McCarthy; the only American on the raid, the edition features Joe and his crew flying over the Mohne Dam having already bombed the Sorpe Dam. By inspecting the results of Wing Commander Guy Gibson and the first waves attack against the Mohne Dam, Joe felt that they may well be able to gather further intelligence on the success of the raid. What a sight it must have been. Nicolas Trudgian personally visited the home of George Johnson (Joe Mccarthy’s bomb aimer on the raid) to interview him about the details of the raid and importantly, what he saw over the Mohne Dam. The result is a beautiful picture depicting Lancaster AJ-T flying over the breached dam with the reservoirs water cascading down into the valley below. The print is exclusively available to purchase from Nicolas Trudgians web site.